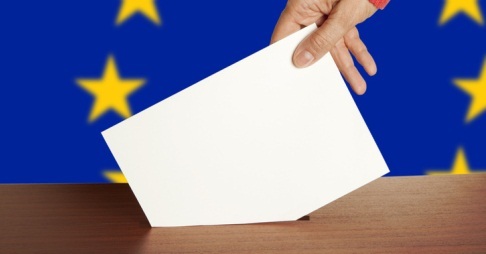 Europeans vote in the EU Parliament elections on May 24-25. All EU citizens with a temporary or permanent residence permit in the Czech Republic may vote here as well. Read further to learn how to vote in the EU Parliament elections in Brno and what you need to do. Detailted information for Citizens of other EU Member States Voting in the European Parliament Elections on the Territory of the Czech Republic at the Ministry of Interior Website. The European Parliament elections in the Czech Republic shall be held on May 24th to 25th, 2019. On Friday, May 24th, the polling stations will be open from 2pm to 10pm. On Saturday, May 25th, the polling stations will be open from 8am to 2pm. Citizens of another EU member states have the right to vote in the European Parliament elections in the territory of the Czech Republic, for candidates registered in the CR, if they have reached the age of 18 and have been registered for permanent or temporary residence in the territory of the Czech Republic for a minimum period of 45 days prior to the elections. Apart from having the residence card, you need to be registered in the List of Voters for the European Parliament elections not later than 40 days before the elections takes place (i.e. at 2 PM on April 14th at the latest) with the local authority in the administrative district in which you are registered for permanent or temporary residence. The registration to the List of voters in Brno should be done with your local city hall. See the complete list of city quarters with the addresses of city halls. For instance, in Brno Střed – city centre – this is on Dominikanska 2 at office #15, in Královo pole at Palackého tř. 59, in Brno Sever at Bratislavská 70. The same office will let you know where is the polling station and will issue ballot tickets to you. Applications for the entry onto the list of voters shall be accompanied by a solemn declaration of the applicant, in which the applicants state the following: 1. citizenship, 2. residence address, 3. the address of the election district where they have been registered as voters in the European Parliament Elections, and 4. a declaration that they will cast their European Parliament vote solely in the Czech Republic. Applications (in CZ or EN) shall be filed and signed in person. The municipal authority shall, no later than 15 days prior to the elections, (i.e. no later than May 9th), inform the applicant about the entry on the list and announce polling locations in local media and on the municipality website. On the election day, you may vote for European Parliament candidates registered in the Czech Republic. After having received an official envelope and, if needed, ballot tickets at the polling station, voters proceed to the designated area, where they place one ballot ticket to the official envelope. Voters may circle a maximum of two candidate numbers on this ballot ticket to indicate their preferences.